Reasons to be Cheerful returns! We are delighted to announce that our critically acclaimed musical Reasons to be Cheerful will receive £220,000 as part of Art Council England’s Strategic Touring Programme, to tour to seven regions across England in autumn 2017. 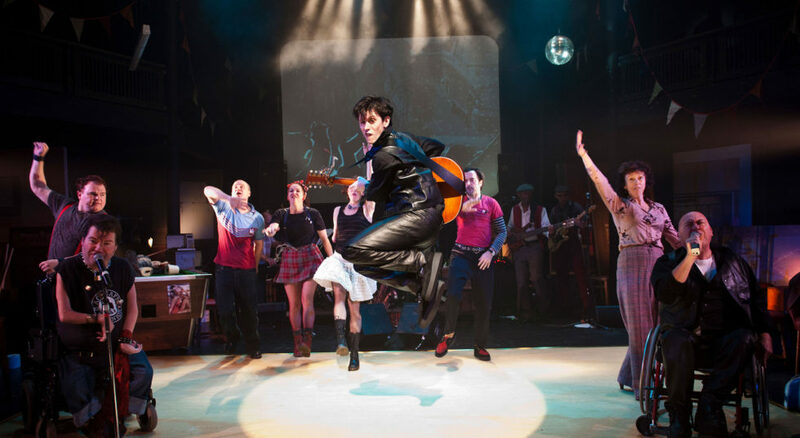 Written by Paul Sirett and directed by Jenny Sealey, Reasons to be Cheerful is a celebration of Ian Dury and the Blockheads’ infectious music, bringing energy and anarchy to new audiences around the country. First seen in 2010, the show has gone onto play at theatres and festivals across the UK, in stadiums around the world, and even in front of HM The Queen, with Spasticus Autisticus being performed at the London 2012 Paralympic Games Opening Ceremony! The 2017 tour will be a truly nationwide production and every performance will be accessible to all, with a combination of British Sign Language, audio description and captioning. So there is no excuse not to chuck on your DMs and get stuck in! Keep an eye on our website, twitter and facebook accounts for more information coming soon.